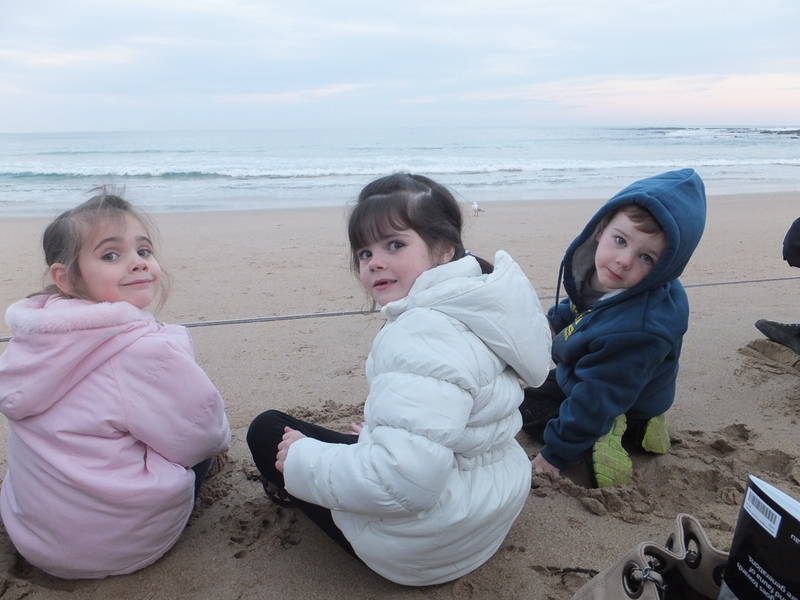 In July 2013, our family spent a long weekend at Phillip Island. I bought a 2 night/3 days package off Scoopon. Scoopon offers daily deals from various companies offering food, drink, travel & shopping specials. On this occasion the deal was for a 3 bedroom villa at the Ramada Resort for a maximum of 6 people. I paid $330 for the whole package that included a complimentary bottle of wine & various discounts for sightseeing attractions in the area. The Ramada Resort was very comfortable, 2 rooms consisted of queens size beads & the third rooms had 2 single beds. 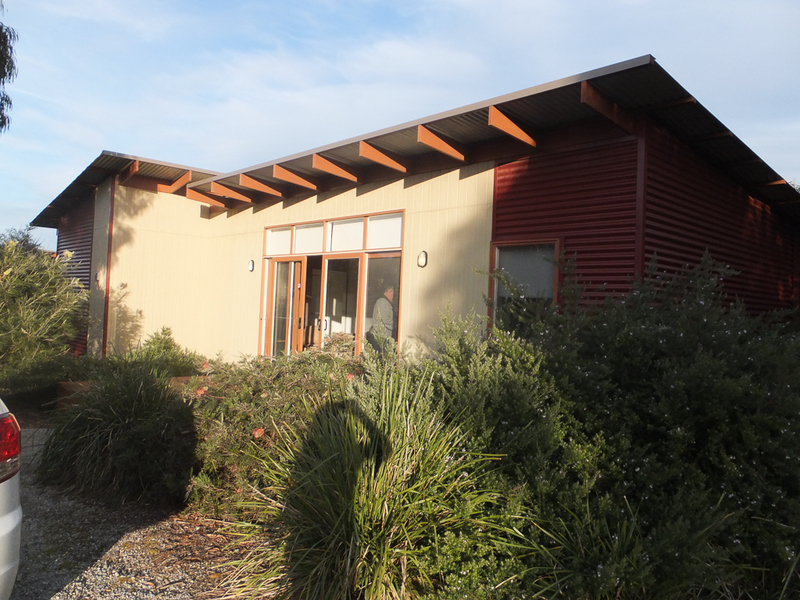 There was a self contained kitchen & 2 bathrooms, a main bathroom & an ensuite to the main bedroom. We like to have the flexibility to make our own breakfast and prepare lunches to save some money so we always try and book accommodation that has a kitchenette. On the first evening just before sunset, we rugged ourselves up & headed out to the Penguin Parade to see the little penguins. The Penguin Parade is the main attraction at Phillip Island & there are bus loads of people down from Melbourne to see them every night. There is a Discovery Centre with a food outlet & souvenir shop so if you get there a bit early there is something for you to do to fill in some time. On the beach where most of the little penguins come in, a theatre style area has been erected for maximum viewing. We choose to sit at the very front on the sand so that we would have an uninterrupted view. The little penguins come in some time after sunset so make sure you have something to entertain the little ones until they start coming in. 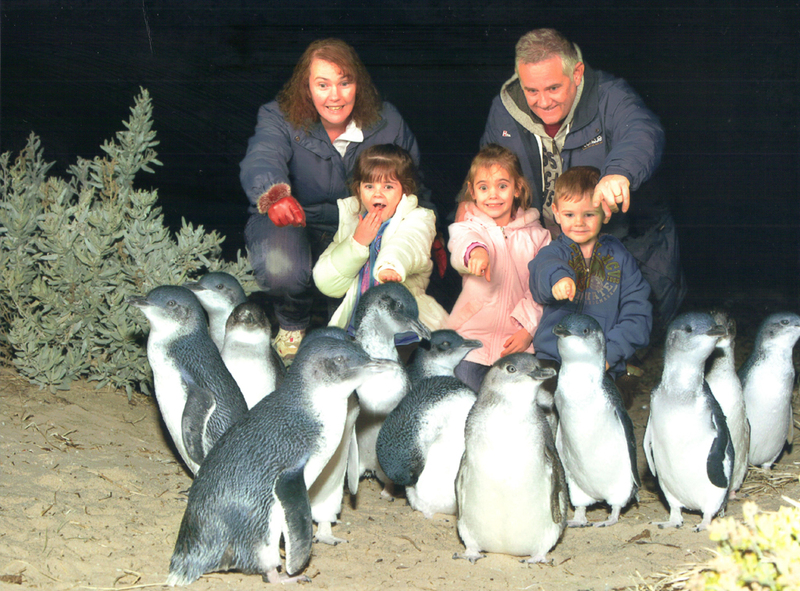 The night we went it was a little bit cold & the little penguins took about 30 minute to come in. They don’t all come in at one time, so we watched a few groups come in then moved back to the walkways that you entered on. The little penguins walk up under the walkways to go to their nests & we found we had a better view of the little penguins from back there. You can hear them calling to the other little penguins, it sounds like a squeaking noise. 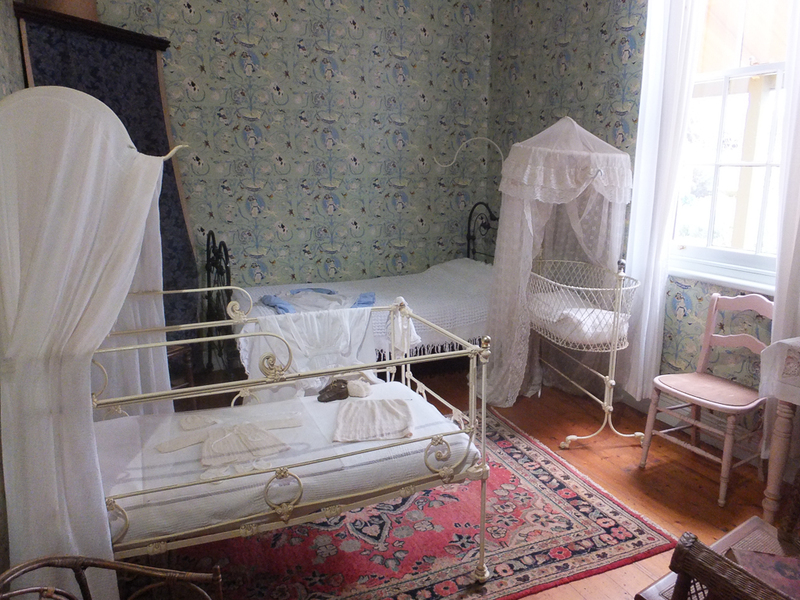 There is plenty to do on and around the island, a short drive over a bridge takes you to the Churchill Island Heritage Farm, its a restored working farm that provides insight to the past lives of the settlers that settled in the area from the 1850’s. 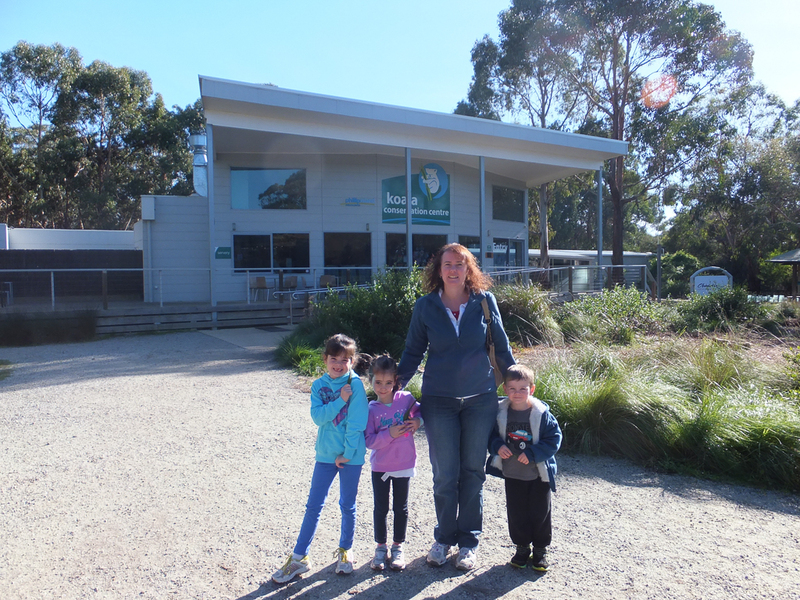 We spent half a day at the Koala Conservation Centre, they have a discovery centre that provides you with information about koala’s & why the conservation centre was set up in Phillip Island. 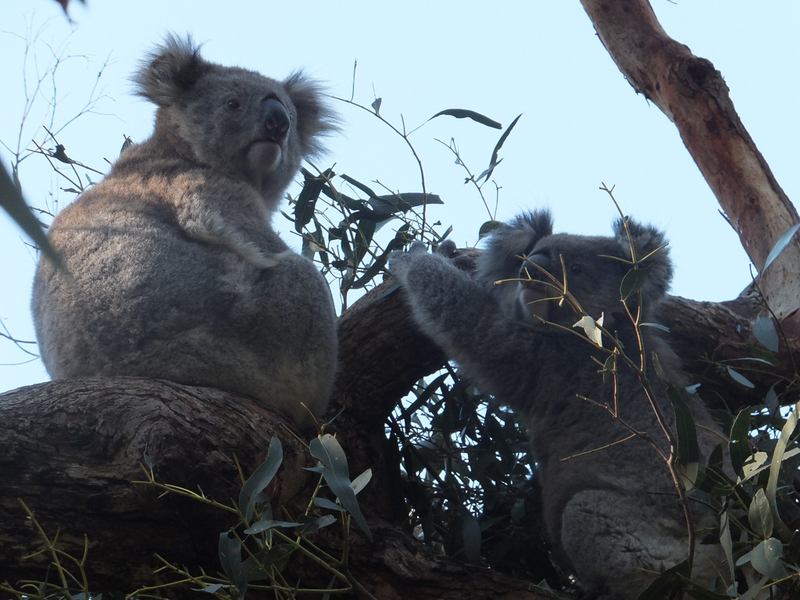 The boardwalks around the tree tops provides you with exceptional viewing of the koalas & there are many on display. 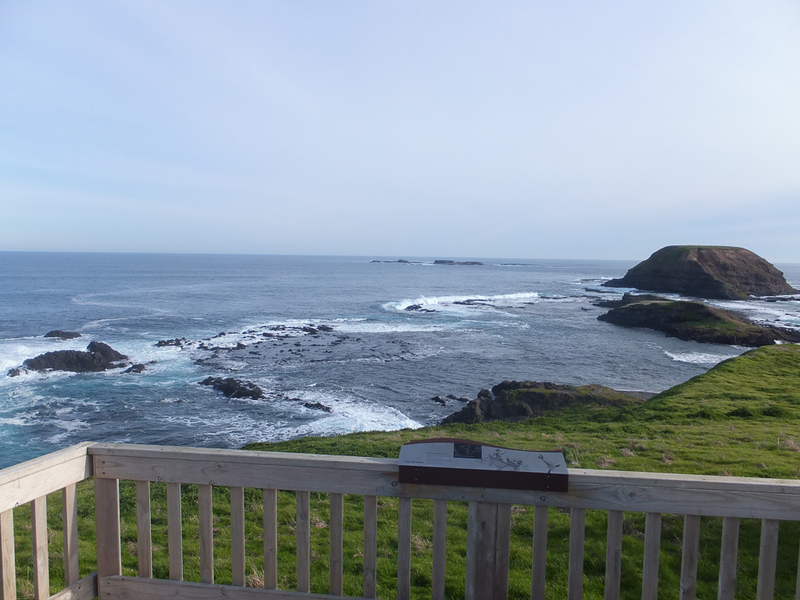 The Nobbies is worth a visit if not for just the exceptional views. One & a half kilometres off the Nobbies is Seal Rocks , this is home to the largest Australian Fur Seal colony in Australia. 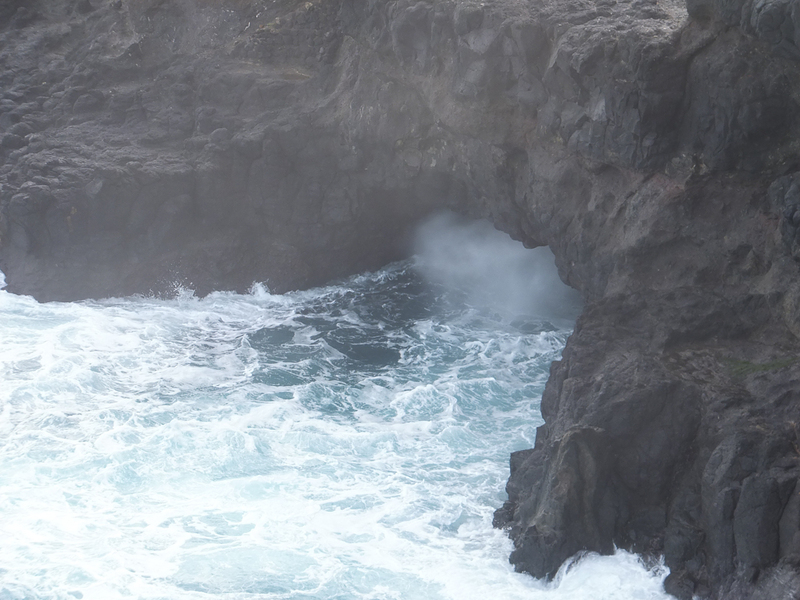 A short walk along the purpose built boardwalk & you can take in the amazing views & the blowhole. If your very lucky you might get to see some little penguins nesting around the boardwalks. The picture along the top of our web page was taken at the Nobbies, rug up if you’re going in winter, it can get pretty icy down there. We purchased the 3 Parks Pass & it gave us enter to all the attractions listed above, the pass was very reasonably priced with a family ticket for 2 adults & 2 kids cost $101 & for the extra child cost an extra $20. At certain times of the year (particularly winter) you can get discount accommodation & specials rates for the attractions which will make it a very affordable short break. 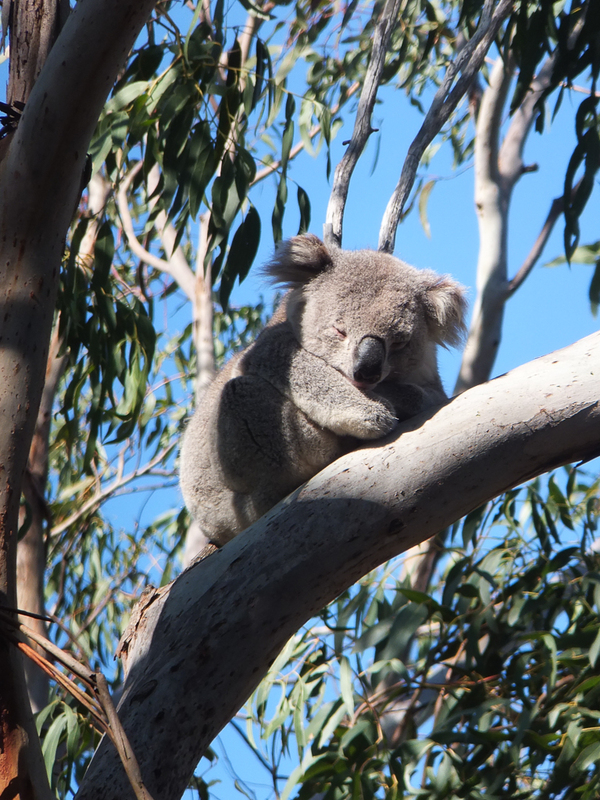 Love Phillip Island. 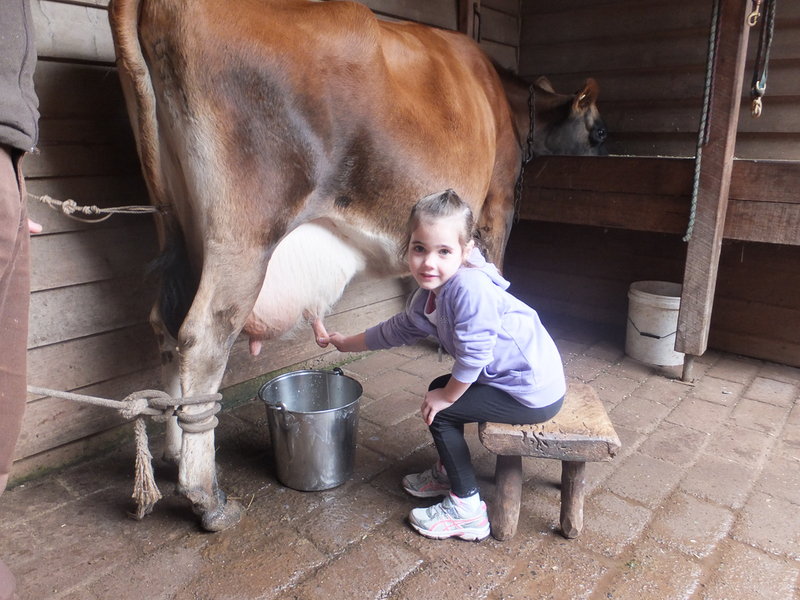 Can’t wait to go back with miss Cheese and show her the penguins too. Hey Christine, thanks for commenting. We returned last year and they have upgraded the experience there 10 fold. They now have the Antarctic Journey providing loads of information about Antarctica and the animals that live there. There’s an interactive ice shelve where the animals swim up to the ice shelve the kids are standing on and the kids go wild! We were there for about 40mins watching themselves on the big screen. 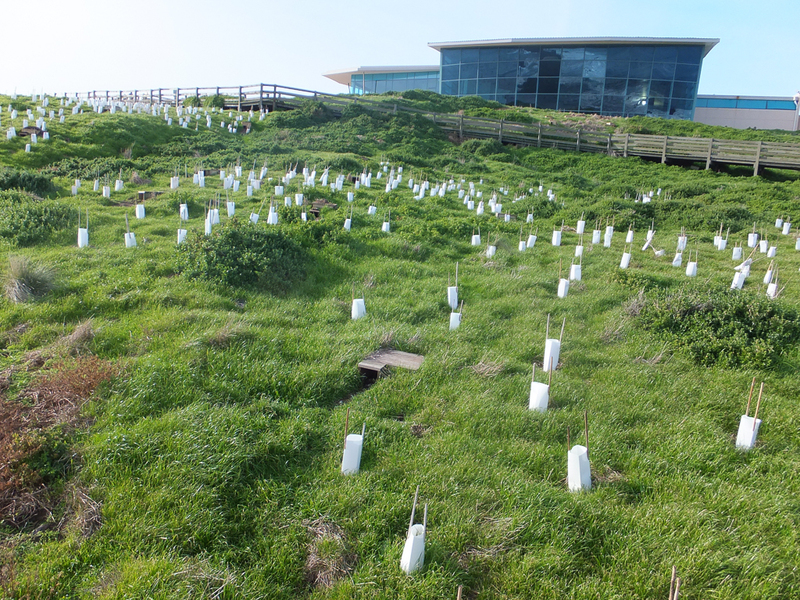 They are also spending a fortune over the next few years upgrading the penguin parade viewing area as the numbers of penguins are increasing and need the space the current building is on so they are going to completely redevelop the whole area and make it better for the penguins but also better viewing for those visiting. I think it will be awesome. 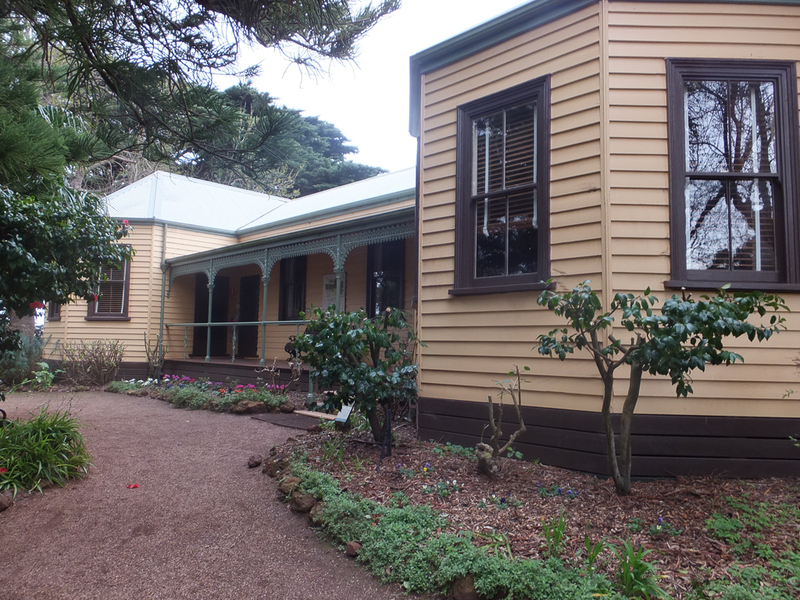 If you have a chance check out this post https://our3kidsvtheworld.com/?p=3958, it covers off the Antarctic Journey and all that Phillip Island has to offer. 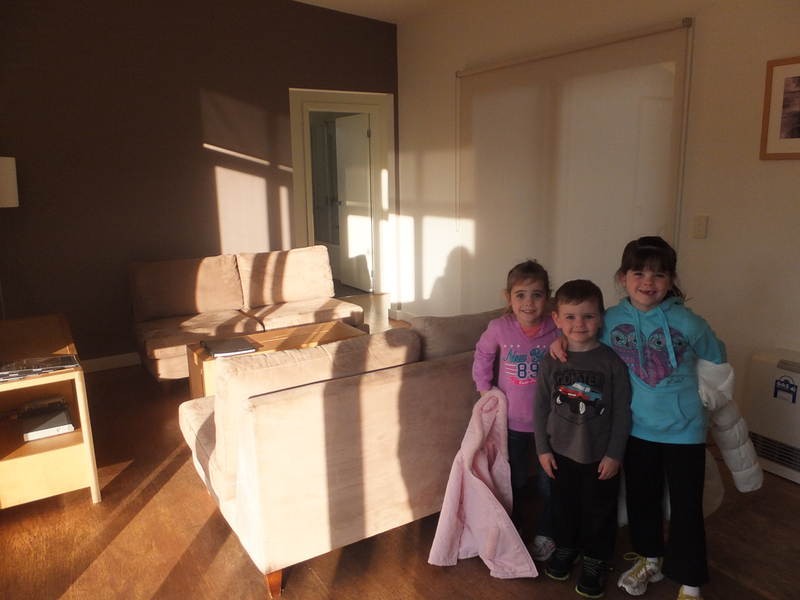 Exciting times ahead for Phillip Island, just wish my brother kept his holiday house there!! Sorry about the story, cheers Sal.